ITV is the UK’s biggest commercial TV station and home to some of the country’s most popular shows. If you regularly tune into shows like I’m A Celebrity, Britain’s Got Talent or Coronation Street, then you are an ITV fan. Their online streaming service, ITV Hub, is hugely popular too allowing you to stream all your shows live as well as enjoy them on-demand. It also offers a vast selection of other ITV shows to stream for free too. The problem is that the ITV Hub is only available to users in the UK. If you live abroad or are travelling overseas, you will not be able to tune in. Unless that is, you use a VPN to do so. In this article, we will tell you exactly how to use a VPN to watch the ITV Hub overseas and also recommend the best VPNs for the job. How to choose a VPN for ITV Hub? Which VPN is best for ITV Hub for me? Do I need a VPN for ITV Hub? Is unblocking the ITV Hub with a VPN legal? The ITV Hub is not one of those streaming services that goes out of its way to stop VPN users from streaming its shows (unlike BBC iPlayer for example). This means that most VPNs will be able to unblock the ITV Hub overseas. Plenty of UK-based servers – You will need to connect your VPN to a UK-based server to stream on the ITV Hub, so the more of those servers available the better. Fast speeds – Ensuring your VPN service offers fast connection speeds is crucial if you don’t want to be bothered with buffering and other connection issues. The best VPNs will even let you enjoy HD quality content on the ITV Hub too. Range of apps – You’ll probably want to stream content on different devices. Most VPNs offer a variety of apps but be sure that your chosen one has apps for the devices you use. Money back guarantee – It is a good idea to look for a VPN with a good money back guarantee to give you a chance to try it out risk-free before signing up. You can click on each name to skip straight to the provider you’re interested in. ExpressVPN is top of the pile when it comes to VPNs to use with the ITV hub. Their combination of speed, a considerable server network, and multiple apps makes them the ideal choice. With ExpressVPN, you can choose from seven server locations across the UK. All of these servers offer lightning-fast connections which, in our tests, were comparable with speeds when not using a VPN at all. This means you can stream as much content as you like, including HD shows without a problem. They have a vast range of dedicated, user-friendly apps for almost every device you can think of, including Amazon Firesticks and Smart TVs, so that you can watch your favourite ITV show on anything. Their prices are slightly above average, but they do have a 30-day money back guarantee and for the high-quality service they offer, they still deliver terrific value for money. If any other VPN runs ExpressVPN close on this list, it is NordVPN. They boast several hundred UK-based servers all of which unblock ITV Hub without a problem. Connection speeds are good too. They don’t quite hit the heights of ExpressVPN but should still be more than sufficient for most users, even if you are watching HD content. TIP: See our full NordVPN review. NordVPN has a massive range of apps too with all significant devices catered for and they also allow up to six concurrent connections so your whole family can watch their favourite shows if they want to. NordVPN’s prices are lower than ExpressVPN and they also offer a 30-day money-back guarantee. Put everything together and they provide a terrific value-for-money package. If you are a bit nervous about using a VPN and haven’t dabbled before, then CyberGhost VPN could be the one for you. They also have a great range of apps, which are among the most user-friendly we have encountered. They are simple to use and ideal for first-time VPN customers. They even have a dedicated option to connect to for watching ITV Hub. This simplicity doesn’t come at the expense of other aspects of their service. Connection speeds are good and their server network includes plenty located in the UK. CyberGhost VPN’s prices are pretty average, but they do have a fantastic 45-day money-back guarantee. This is the longest we’ve seen so you’ve got plenty of time to test it. VyprVPN has been around for years and this longevity is no coincidence. They offer a fantastic, reliable all-round service and are another good bet for streaming on the ITV Hub. The VyprVPN apps are among the very best we have seen and are easy to navigate and use to watch the ITV Hub. Unfortunately, they are only available for Windows, Mac OS, Android and Apple iOS devices, That will be ok for most users, but does mean you cannot use them with a Fire TV stick or Smart TV. Their connection speeds are excellent and, crucially, they are also consistent no matter when you connect or for how long. Prices for VyprVPN are again in line with most other providers. There is no money-back guarantee available, which is a shame, but they do offer a free 3-day trial which most people find is enough to decide if it is the right provider for them. Last, but by no means least on our list is IPVanish. They are another great all-rounder who ticks all the boxes for ITV Hub users. Connection speeds are fast and they have a sizeable server network with the UK well-catered for. IPVanish has a great range of apps and were one of the first to cater for Firestick and Smart TV users as well as all the usual devices. TIP: Check out our round-up of top VPNs for the Amazon Fire TV. They also offer an enormous ten simultaneous connections with each account which means ever the largest of families can all enjoy their shows without having to cough up for two subscriptions. Prices are in line with the market too, although sadly IPVanish only offers a 7-day money back guarantee at the moment. Our top overall recommended VPN to use with the ITV Hub is ExpressVPN. But there are some scenarios where it might not be the best for you. Every VPN has different features and depending on your personal circumstances, you might be better off opting for another provider. For example, if you have a relatively slow internet connection, you will want to opt for a VPN with the fastest connection speeds. ExpressVPN will do an excellent job for you, but you might also want to give NordVPN serious consideration. 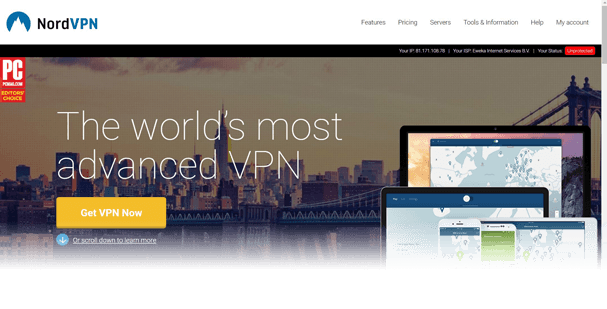 If you are a newcomer to VPNs and want a provider that is beginner-friendly, then CyberGhost VPN is well-worth considering. Their dedicated option for unblocking ITV Hub means you really can’t go wrong. If you want to watch the ITV Hub on different devices, NordVPN has a vast range of apps available as does ExpressVPN. If you’re going to watch on several devices at the same time, IPVanish allows up to ten concurrent connections and may be your best bet. If money is your primary consideration, then CyberGhost VPN offers a huge 45-day money-back guarantee, while NordVPN is probably the most cost-effective provider on the list. You can watch the ITV Hub in the UK without having to connect to a VPN first. However, bearing in mind the UK’s intrusive online surveillance laws, you would be well advised to use one anyway to ensure your online privacy. If you want to enjoy ITV shows while outside the UK, you will need a VPN. This is because ITV blocks overseas internet users from accessing content on the ITV Hub. However, by connecting your VPN to a UK-based server, it is possible to fool ITV into thinking you are in the UK even when you aren’t and so enjoy all their shows from anywhere in the world. Using a VPN is 100% legal in all but a handful of authoritarian countries around the world. There is certainly no specific law that prohibits you from using one to watch the ITV Hub. ITV will not actively encourage you to use VPNs as they only hold the rights to stream their shows in the UK. But the fact that they have not done anything to stop VPN users accessing their service tells us that it is not an issue they are too concerned about. There is no instance we are aware of when anyone has got into trouble for connecting to the ITV Hub through a VPN. But it also goes without saying, that we would not condone anyone using a VPN to access any content illegally so you should consult relevant laws in your country surrounding VPN use. Most VPNs will work with the ITV Hub, but in this guide, we have identified the very best. We based our recommendations on tests conducted in 2019, so you can be sure that our results are up-to-date. We found that ExpressVPN is the best VPN for watching ITV Hub thanks to their combination of fast connection speeds, great range of apps, and a broad network of UK-based servers. If you prefer to look further afield, we have also outlined four other providers who will do a great job of unblocking the ITV Hub too. In our view, ExpressVPN is the best. But in truth, you won’t go too far wrong with any of the providers on this list.